This is a lovely commuting bicycle that is extremely well priced for its components. It has the SHIMANO STEPS crank drive system that runs through the gears. With a 400 watt hour battery, it will give a great range. It’s a pedal assist system, this means that you choose the level of pedal assistance you want from the motor and it will automatically deliver power as you pedal. The SHIMANO STEPS system has extremely well coordinated torque sensing, as you put pressure on the pedals, the sensors within the motor respond by applying a set level of power to the motor. 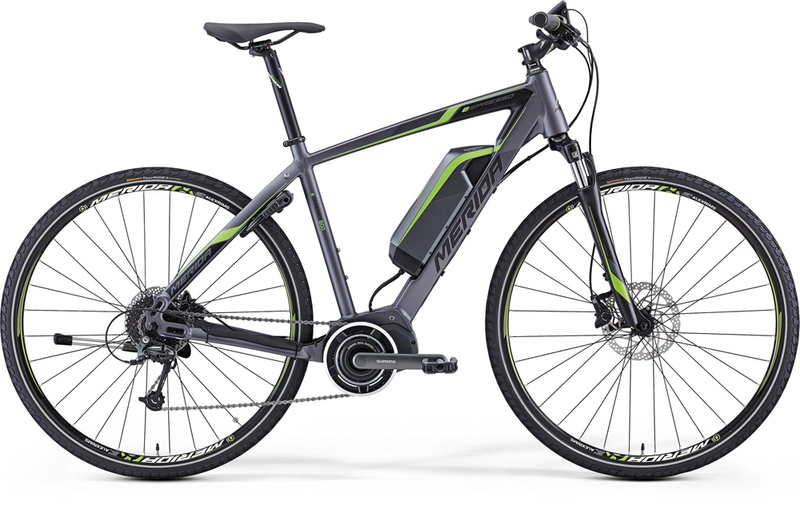 This bike cannot be beaten on price if you are looking for a crank driven ebike. Please come in for a test ride.